Note: this page is being kept for possible future use. Should not be reachable from the home page. 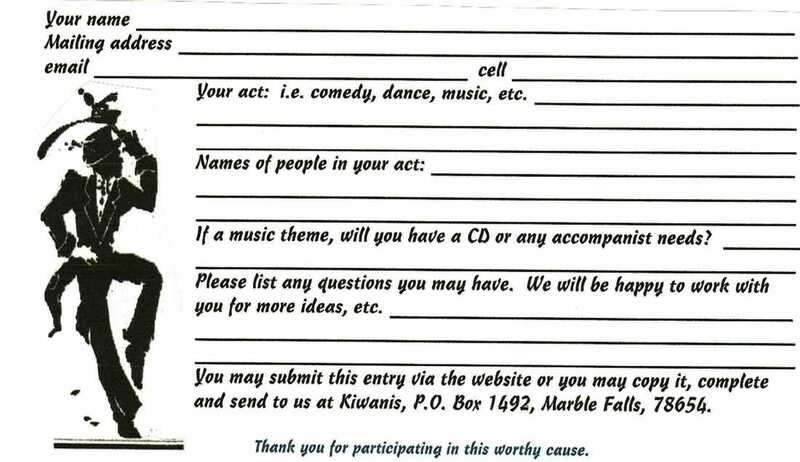 The Marble Falls Kiwanis Club is hosting a variety show to be held on Friday, February 23, 2018, at the First Baptist Church at 901 La Ventana in Marble Falls. Curtain goes up at 7:00 pm. Tickets are $15 for adults & $10 for those 18 & under, and will be on sale by Kiwanis members at tables outside Walmart on Wednesday and Thursday Feb 21-22. Tickets will also be available at the door. ​This Evening of Entertainment is a stage production that includes choral, dance, comedy, and instrumental performances. 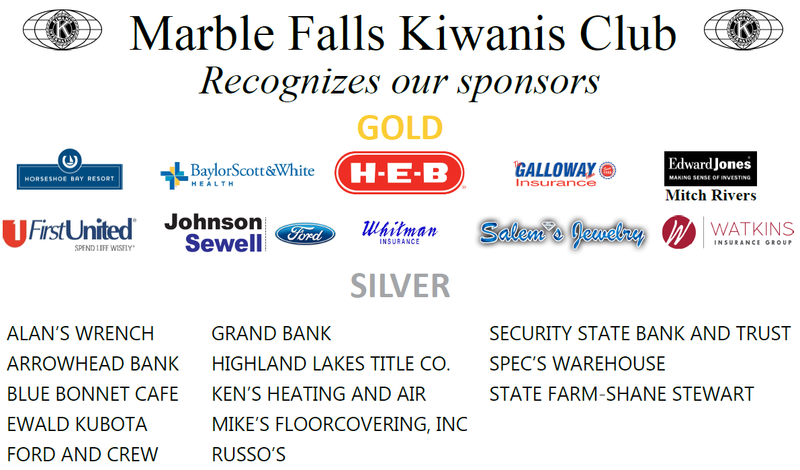 This is a fund raiser for the Marble Falls Kiwanis Club with net proceeds used for college scholarships, local athletic programs, high school youth leadership, and other community youth programs. 901 La Ventana in Marble Falls. Sale of tickets to be announced. instrument or even lip sync to some favorite entertainer of yours. together and then fine-tune it with practice. about it, talk it over with friends and join us in our fund raising effort. dress rehearsal will be at 4:00 the afternoon of Feb. 23, 2018. 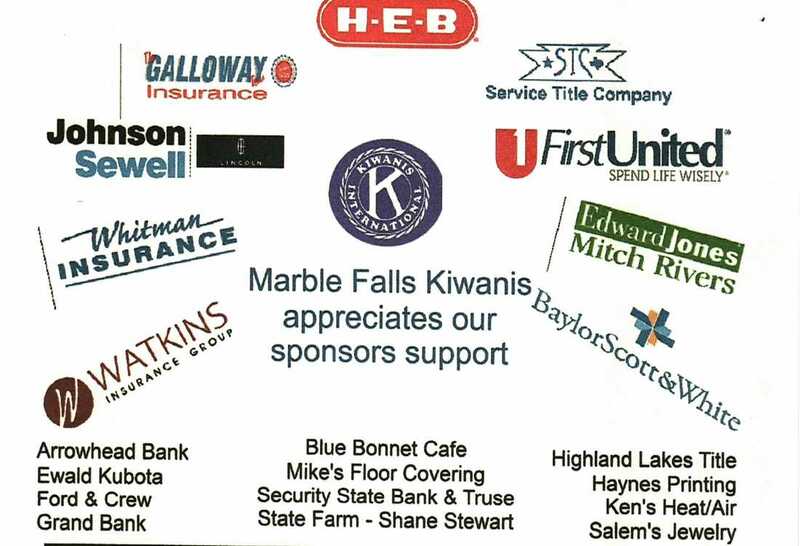 ​We thank our generous sponsors for their support. To register online please provide the information in both sections below. Click here to provide information about your act.